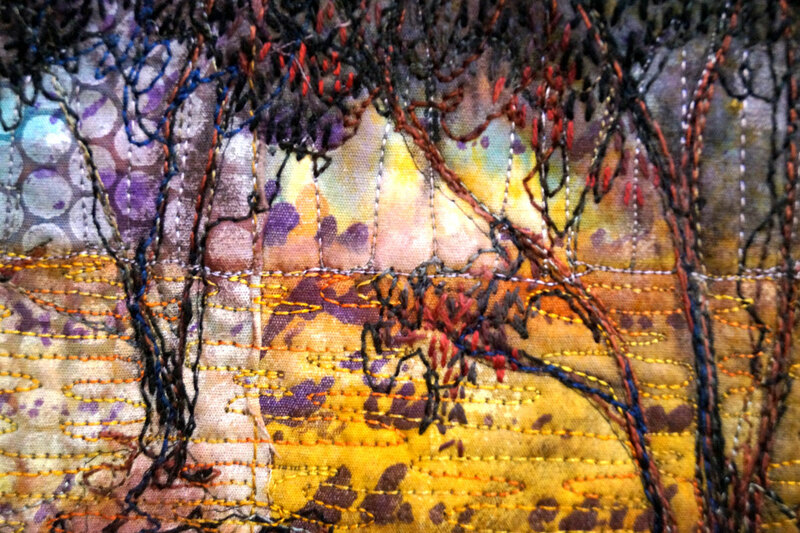 This exhibition is on at the moment at the Mildura Arts Centre, 119 Cureton Avenue, Vic and will run until Dec 13, 2015. 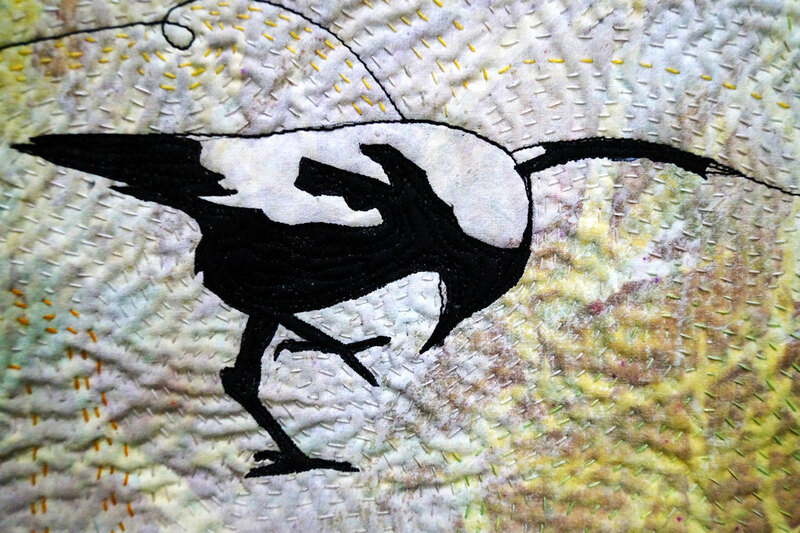 This piece is a result of my love of Magpies (not the footy team..Ugh). My husband and I have raised a few. They are amazingly intelligent and curious creatures. 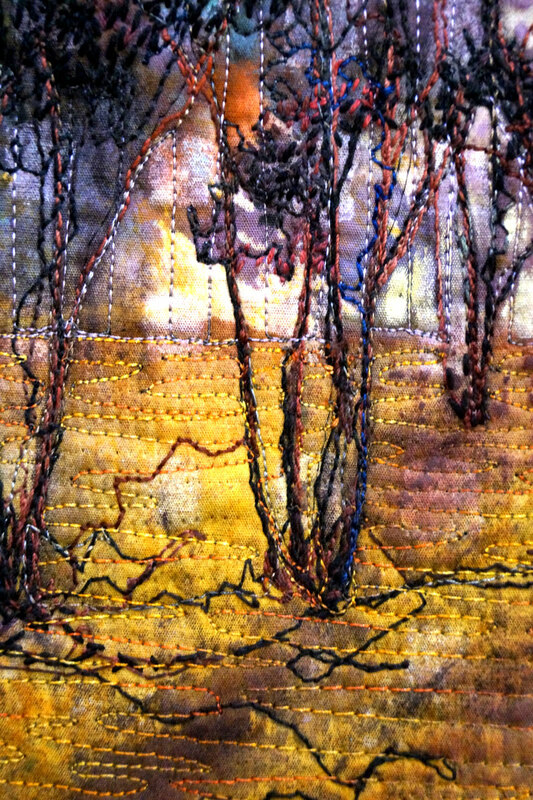 In this small piece, I have used printing, thread sketching and a sort of ‘Kantha’ stitch for the quilting. 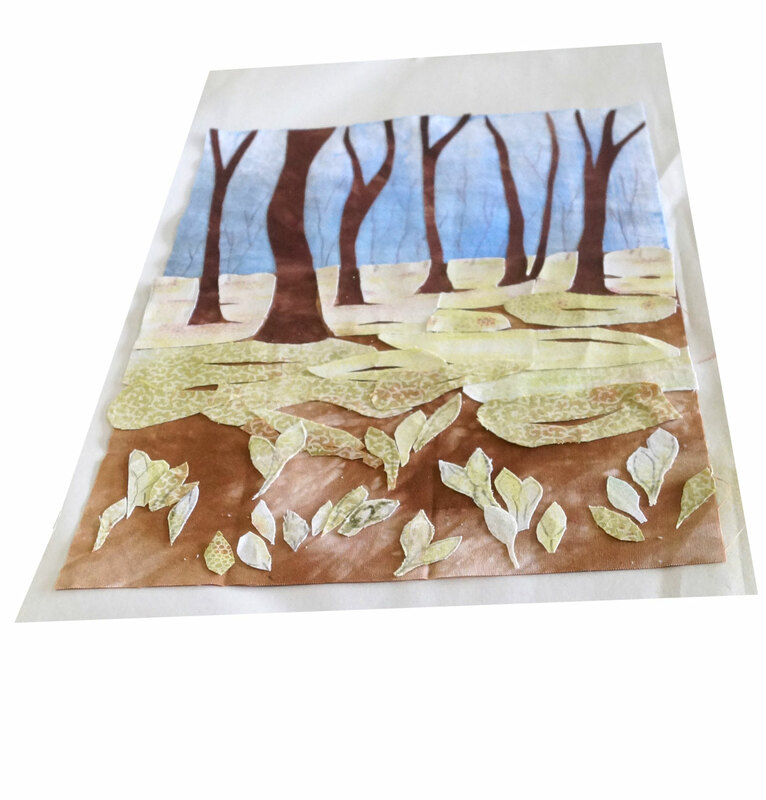 The background was screened with thickened Procion dyes with grass as a resist. 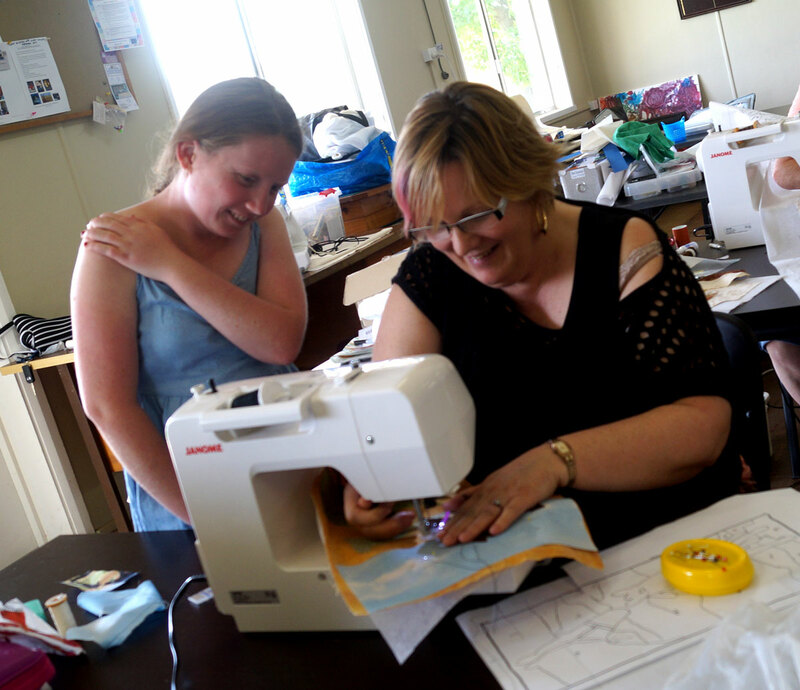 A couple of weeks ago I taught one of my newer classes ‘Ideas into quilts’ to a small but enthusiastic group at Coleambally. 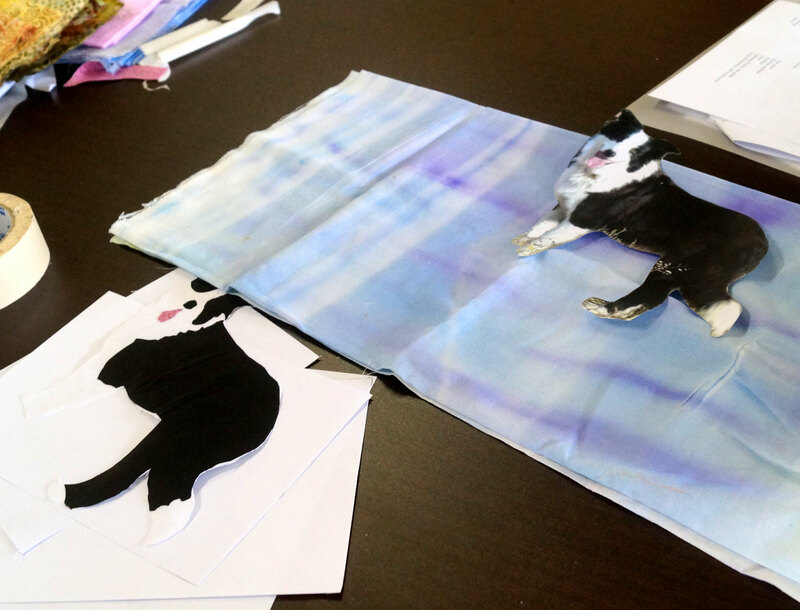 Each participant was able to develop a piece of original work from scratch. 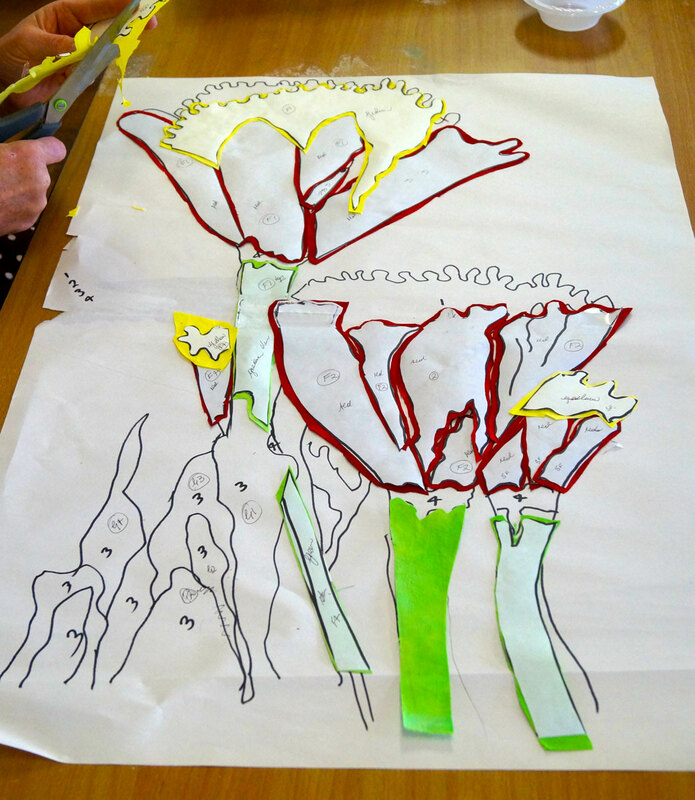 Participants received tuition on composition, colour and design. 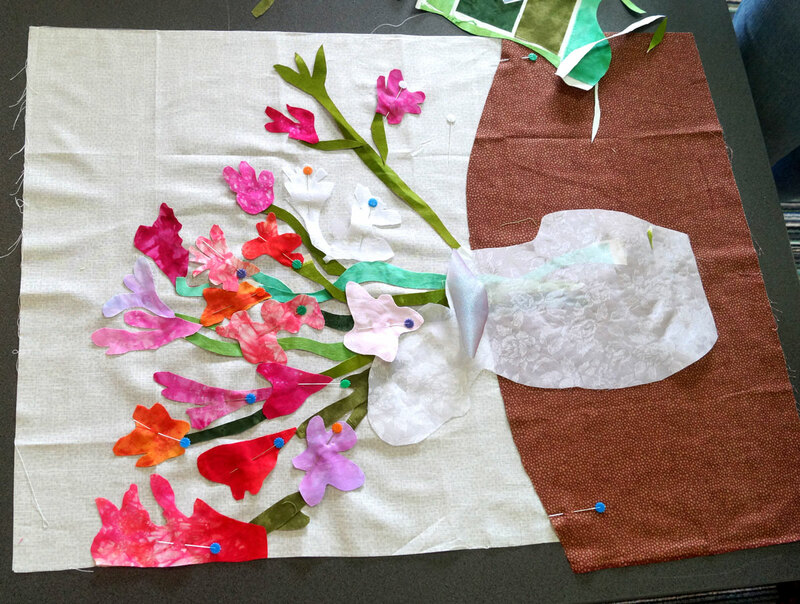 Some of the girls had never made a quilt before, never mind an ‘art quilt’. 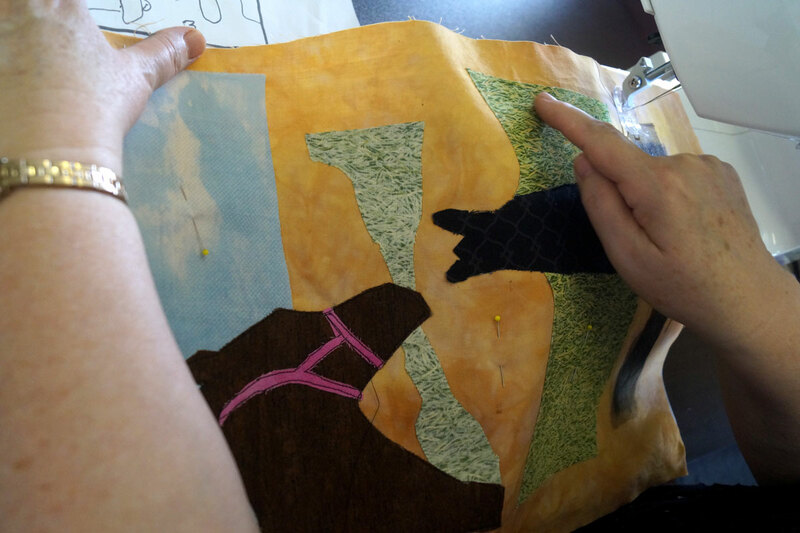 Different techniques were adopted to get their individual ideas into quilts. Well done girls. Thankyou Georgia Hando for taking the photos. 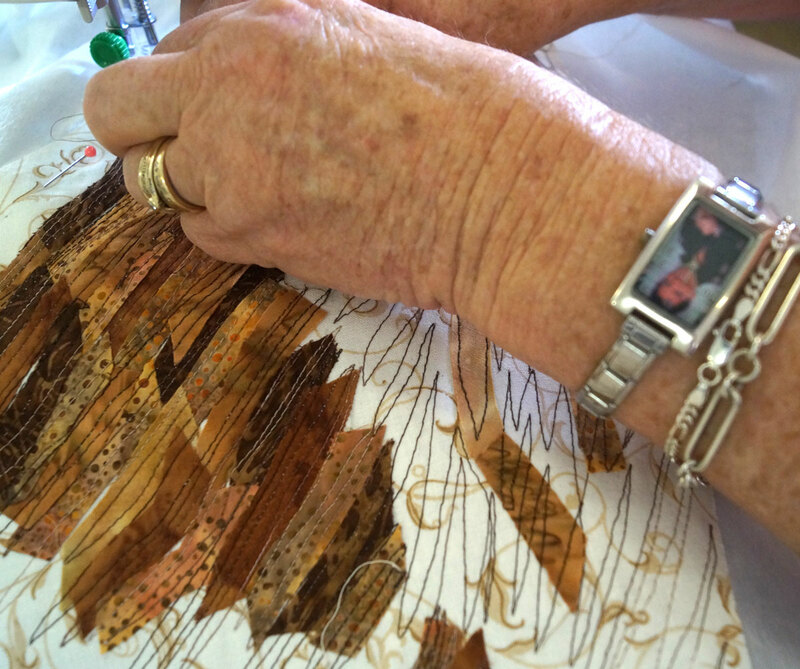 Thread sketching over collaged fabric bird. What is “Differ to Differ”? 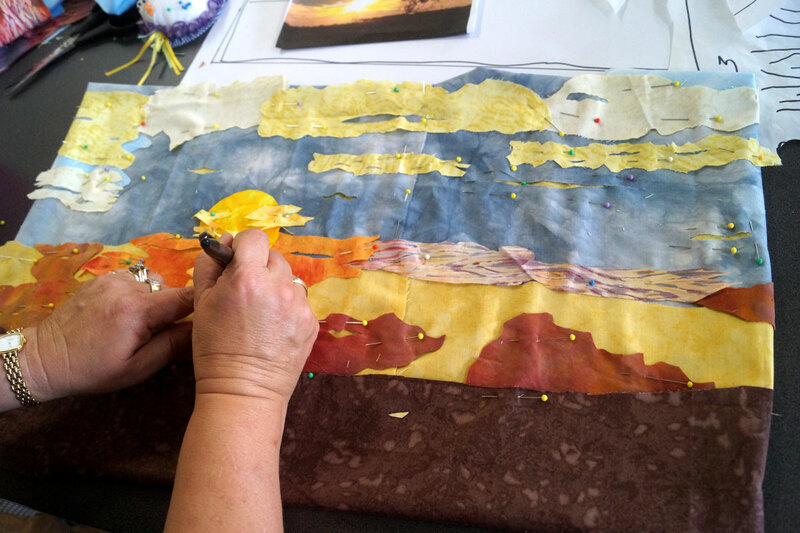 A small group came together in South Australia more than 20 years ago with the aim of promoting and showcasing contemporary art quilts in this state. The first exhibition was held at the Megaw and Hogg and then it has been held at Prospect Gallery and recently at Gallery M, Marion. “Dare to Differ” exhibitions are held bi-annually. 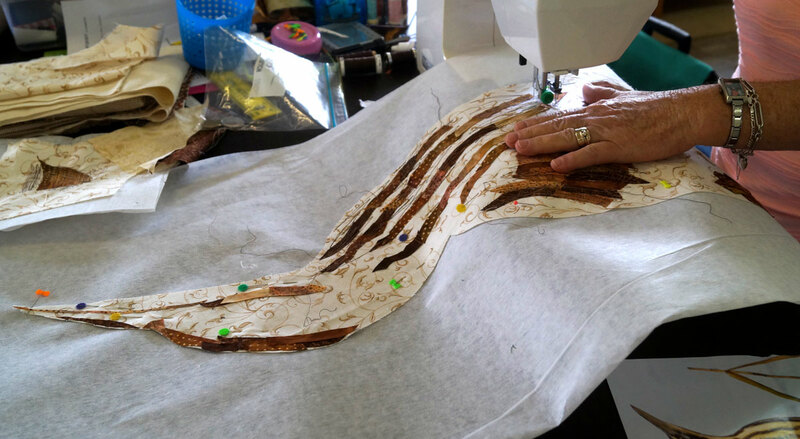 The interpretation of the quilts is left to the quilt maker. 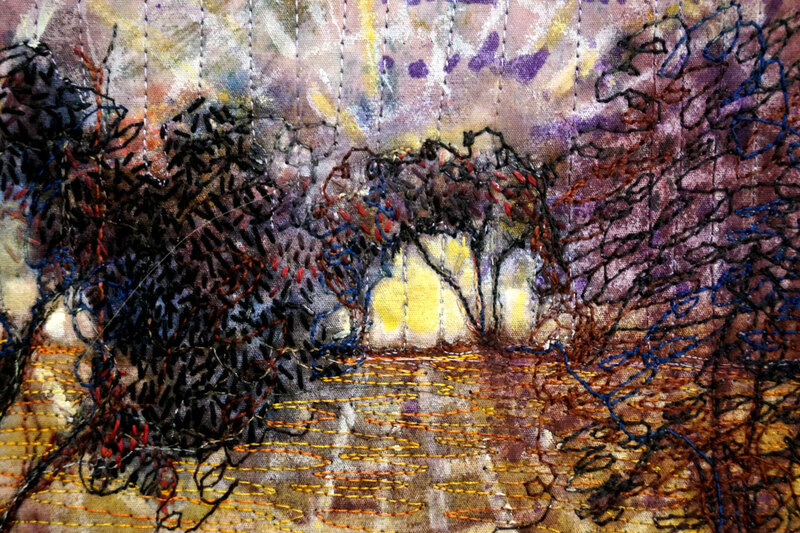 Contemporary quilt makers are encouraged to extend their horizons, leaning more to the Visual Arts and “Dare to Differ”. 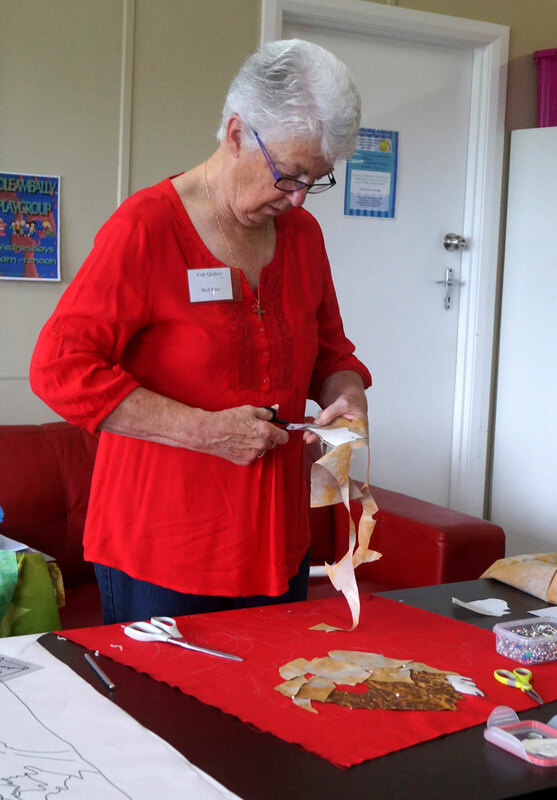 The exhibition is open to ALL quilt makers within Australia. 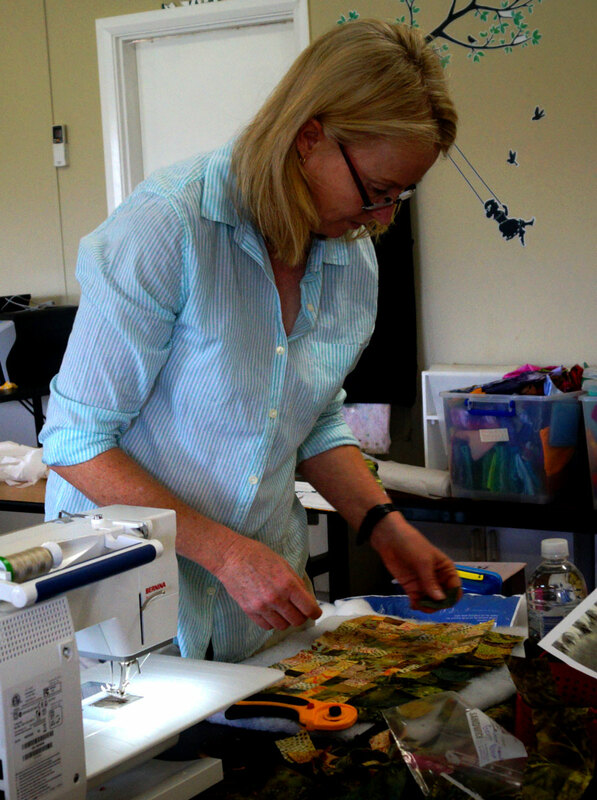 We have hoped that by opening entries to interstate contemporary quilt makers we give South Australian quilt makers and the general public the opportunity to view a very high standard exhibition of contemporary art quilts. One of my entries in this exhibition is ‘Mallee1’. When some dear friends drove me to Adelaide last year, I had plenty of opportunity to observe and draw (in the back seat of the car). What I saw was miles and miles of Mallee scrub and vast golden paddocks. This work comes from that experience. This is a whole cloth quilt. Painted and stencilled. Hand and machine free embriodery. Freemotioned quilted (the hair on the left is not included!). Can you find the stencil used from a plastic peg basket?